As part of Fire Prevention Week (October 7-13), it is timely to reflect on NFPA’s video on the Great Chicago Fire of 1879. The link to the video can be found here. While many lessons have been learned in fire prevention, fire spread, insurance coverage, and subrogation recovery since 1879, there are still many challenges and legal issues when it comes to catastrophic fire incidents. We encourage subrogation professionals to take a moment this week to learn what fire prevention programs are taking place in your area. As one example, our San Diego office showed support for the San Diego Fire Rescue Foundation this weekend in their charity 5k run. 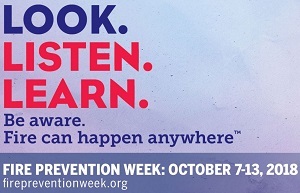 Check out NFPA’s Fire Prevention Week’s website for more information.